Pope Francis will not visit Nigeria, the west African country hit by the incessant attack of Islamist sect, Boko Haram, but will meet slum dwellers and refugees and call for dialogue between Christians and Muslims when he visits Kenya, Uganda and Central African Republic next month, the Vatican said on Saturday. 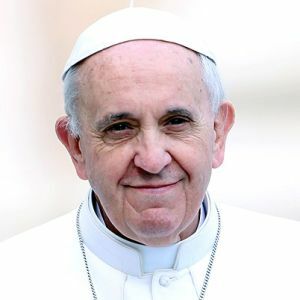 The trip to Kenya, which will be his first to Africa, is fraught with security concerns and the pope will spend about two days in each country and visit only the capitals. He will also hold an inter-religious meeting and say a Mass at a university in the capital. The Kenya stop had been in doubt in the initial planning of the November 25-30 trip. Nairobi’s Westgate shopping mall was the scene of a four-day siege in September 2013 that left at least 67 people dead in an attack by gunmen of the Somalia-based Islamist group al Shabaab. The last stop is Bangui, the capital of the Central African Republic, where the centrepiece of his visit to a country plagued by inter-communal violence is a meeting with Muslim leaders in the Koudoukou mosque. Violence surged in Bangui in September after the murder of a Muslim man, and 77 people were killed. Much of the violence in the capital has been driven by a militia known as anti-balaka, which is largely Christian, and a mainly Muslim group called the Seleka. Thousands have died and hundreds of thousands have been internally displaced since the Seleka briefly seized power in the majority Christian country in 2013. They later handed power to an interim government but still control swathes of the north.